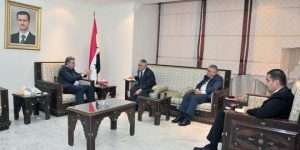 Damascus, SANA- Minister of Education Hazwan al-Waz on Wednesday discussed with Director of the Beirut-based UNESCO Regional Bureau for Education in the Arab States Hamad Bin Saif Al Hammami aspects of cooperation between the Ministry and the Bureau. 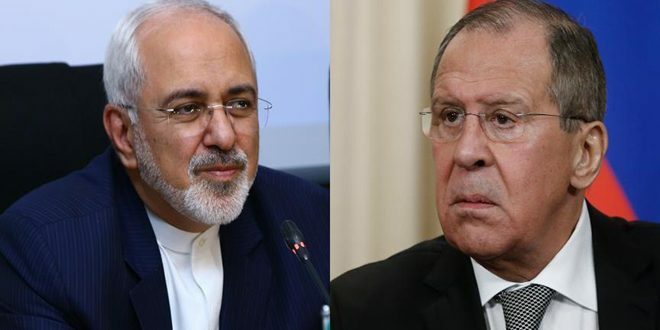 Talks during the meeting also dealt with the most important strategies and programs of the UNESCO and the necessity of being in contact with the national bodies through the national committee only, particularly regarding protecting the Syrian heritage. The project of training teachers for the new curricula through the National Center for Developing Curricula, and providing the needs of the Regional Center for Developing Early Childhood were also discussed. 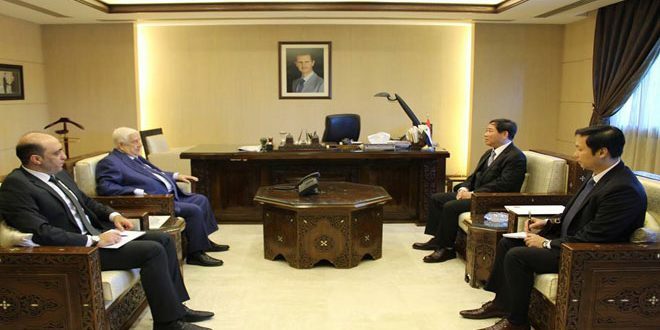 Minister al-Waz expressed keenness on boosting the standing cooperation between the UNESCO and the national Syrian establishments working in the fields of education, science, culture, and communications. 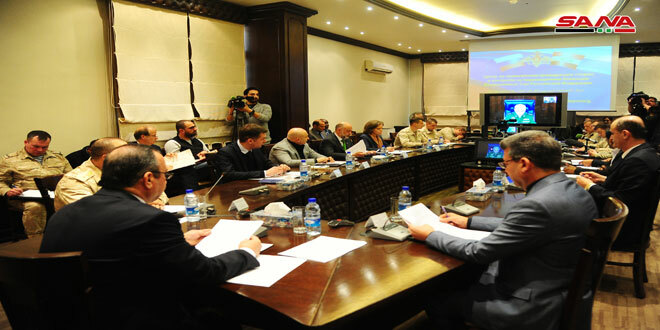 He briefed Al Hammami on the reality of the educational process in Syria in light of the current circumstances and what the educational sector has suffered at the hands of terrorists, indicating that the Ministry of Education has taken a number of measures to ensure that schools are able to continue their work. For his part, Al Hammami stressed that the joint programs and projects which are carried out in cooperation with the Ministry are going well. 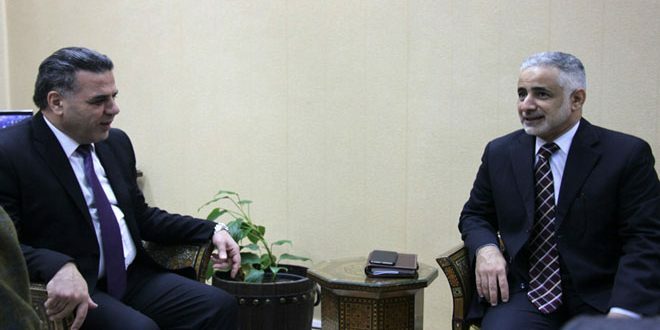 He expressed the UNESCO’s desire to develop cooperation with the Ministry of Education continually, and its readiness to provide support to a number of current and future projects and to set a clear timetable for them, and to start carrying out the projects proposed by Syria in the framework of the priorities and programs adopted by the UNESCO. In the same context, Information Minister Mohammad Ramez Tarjman discussed with Bin Saif Al Hammami the mechanism of cooperation between the two sides, particularly in training staffs in the media sector and coordinating with the Ministry of Information to support its projects. During the meeting, the minister pointed out to the training courses which are held by the ministry in cooperation with UNESCO, noting that the government seeks to take care of youths and women in addition to its work to develop the media speech. For his part, al-Hammami said that the UNESCO is working, in coordination with all ministries, to train local cadres and rehabilitate them to become a trainers later, adding that the organization will continue training the staffs of Culture and Information ministries. He hailed Syria’s efforts in the fields of education, culture and social affairs despite the hard circumstances it passes through. Minister of Higher Education Atef Naddaf stressed Syria’s keenness on implementing necessary policies to provide quality education for all in order to achieve sustainable development and protect educational institutions from terrorist attacks. The minister made his remarks during a meeting with Hamad Bin Saif Al Hammami. Minister Naddaf highlighted the package of procedures taken to facilitate students’ movement from one university to another, help those who were forced to leave their universities in the terror-affected cities and overcome obstacles hindering their scientific attainment. 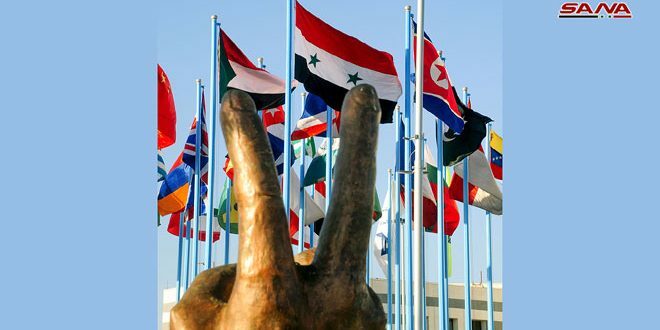 He briefed UNESCO official on a review about the devastated destruction and damage inflicted to educational infrastructure due to terrorist organizations’ systematic attacks, noting that Syria, despite the war waged on it, still welcomes students from Arab countries and offers rent-free housing to them. The two sides discussed work mechanism to meet the Syrian universities’ necessary needs and set up long-term projects and plans, with Al Hammami expressing the UNESCO readiness to provide assistance to preserve the continuity of the educational process in Syria which he described as “our country which deserves all support”.